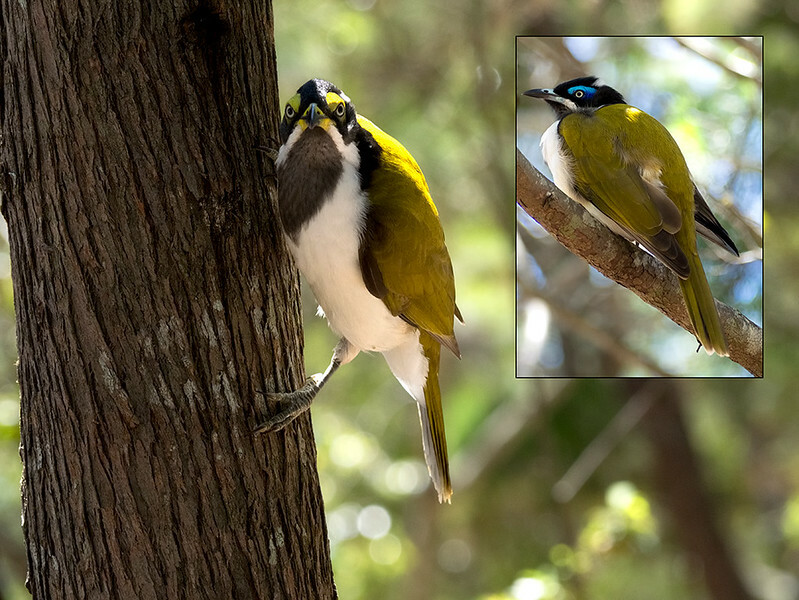 Blue-faced Honeyeaters at Rainbow Beach. Shown at leftis the less colorful female. On the right is the male, who has the brilliant blue eyebrow that earned the species its name.